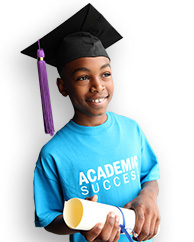 For more than 50 years, Boys & Girls Clubs in Decatur, Alabama, have played a vital role serving the youth of their community. With a recent merger, 3 of the organization’s 15 North Alabama Clubhouses (projected to serve 1,500 youth everyday in 2019), are located in the Decatur where 1 in 3 of the city’s youth living below poverty level. Yet badly as Clubs are needed, this community nearly lost one. Set on the Tennessee River some 25 miles southwest of Huntsville, the city of Decatur has experienced both prosperity and hard times over its nearly 200-year history. Over time, the city’s demographics shifted. The Third Street Boys & Girls Club and the community that desperately needed it was left behind. The iconic building where so many lives were changed was falling apart. The 10,000-square-foot facility was peppered with broken windows, falling insulation, a leaking roof, holes in the floor, peeling paint, and aging heat and air systems. The Club simply lacked the resources to keep the doors open. Kids were in danger of losing this place where they felt safe, where they could go and find love, support and activities to see who they could become. For many, places like the Third Street Club that fill the gap after school and during the summer is where great futures are won. Determined to keep Third Street open, the organization’s senior leadership created a new vision and strategy to bring two organizations together and revitalize the dilapidated building. Not only would it stay open. It would also serve as a symbol of the Club’s and community’s resilience. An outpouring of support from every corner of the community inspired something new: hope. Lowe’s, the home improvement retailer and Boys & Girls Clubs of America national partner, donated a $50,000 renovation grant. Individuals and organizations including Decatur Mayor Tab Bowling, Senator Arthur Orr, Club alum and retired NFL player Jerraud Powers, retailer Old Navy and local supporters like the business Ascend and Epic Church donated time, dollars and resources to make sure the children who need it most have a place they can go. 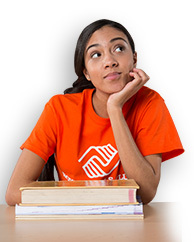 To commemorate Martin Luther King Jr. Day of Service, Boys & Girls Clubs of America President and CEO Jim Clark and his leadership team will help raise awareness and support for Boys & Girls Clubs in the area by volunteering at the Third Street Club. That message of unity has never been more fitting. Over the last year, the citizens of Decatur have seen what people can do when they unite behind a common cause. 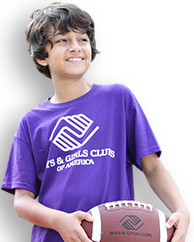 To learn more about Boys & Girls Clubs of North Alabama, go to https://bgcnal.com/.